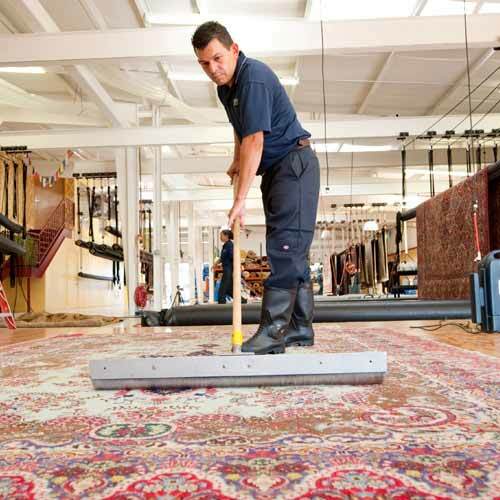 Royal Cleaners offers you maintenance, repair and cleaning of persian, wool, chinese, indian, oriental and all others rugs. We offer free pick-up and delivery service, we evaluate the work required in order to return your rugs in pristine condition within the quickest time possible. Our method of cleaning by following these steps allows quick drying, prolongs the life of your rugs and removes all embedded dirt within the fibers. Applying stain guard following the cleaning facilitates regular maintenance. 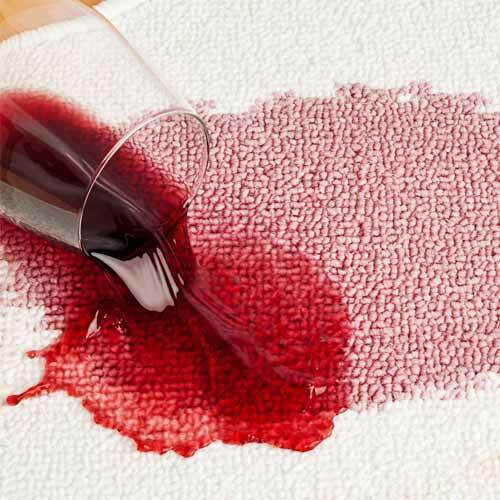 Our stain guard process leaves no sticky residue which will attract and retain dirt. It will assure a durable protection and gives your rug a renewed luster. Give your wall to wall carpeting a fresh clean look with our high pressure industrial steam cleaning equipment. You deserve best carpet cleaner service! Let our professional cleaning crew return your carpets to that newly purchased look. Work done by expert hands, our powerful cleaning equipment are linked directly to the technician’s vehicle, thus, allowing for a deep down carpet cleaning which results in quicker drying. The high traffic areas or those areas that require more attention are treated with great care. Our carpet cleaning process follows a five step program which is recommended by the majority of North American carpet manufactures. It is also recommended to follow a regular cleaning process in order to maintain your carpet state. Our process of cleaning done by our certified technicians, carpet cleaners, will offer you an optimum result. 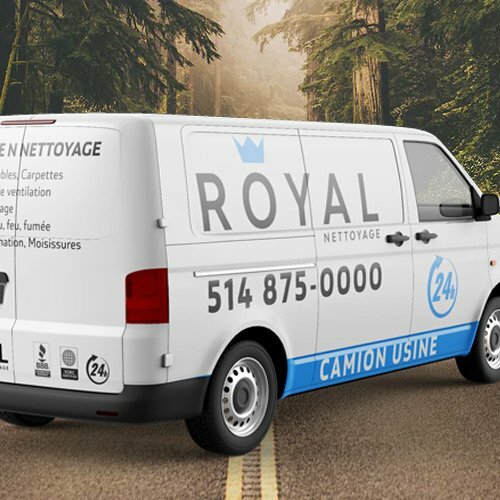 We offer also other cleaning services such as upholstery cleaning and dryer vent cleaning, Royal cleaning is your one stop shop for cleaning services. Our experience and knowledge in carpet cleaning allows us to offer you unequaled results, at a very competitive price. Our highly effective cleaning products are non-toxic and 100% certified biodegradable. For impeccable carpets, trust a cleaning company with a solid reputation. Do like thousands of our satisfied customers. 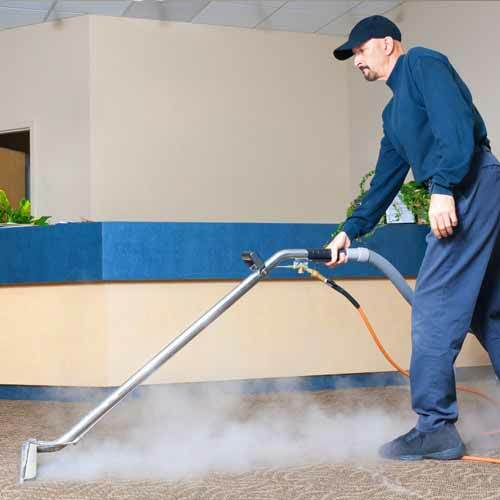 Take advantage of services and competitive pricing offered by Royal for the cleaning of your commercial carpets by calling us today for a free estimate! Whatever the size or scope of the work required, Royal cleaners will accomplish the task with professionalism which will conserve the quality image and cleanliness of your entreprise. Your conference and/or office chairs as well as partitions or work stations also require regular maintenance in order to prolong their usefulness. Following each cleaning, we also apply a natural disinfectant on all cleaned surfaces in order to improve the air quality. The disinfectant leaves a clean fresh scent.